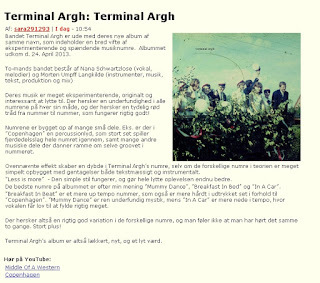 Terminal Argh's album is out today! 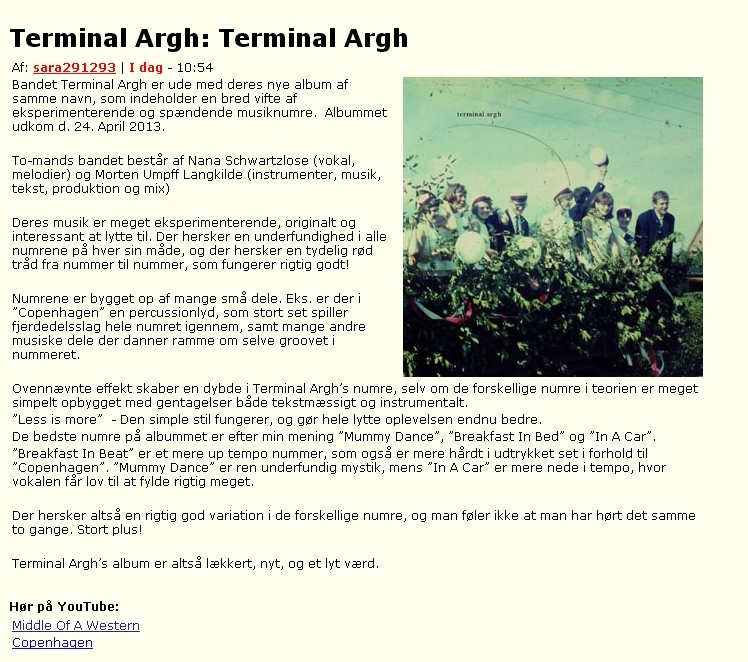 Terminal Argh's album is out (yay! 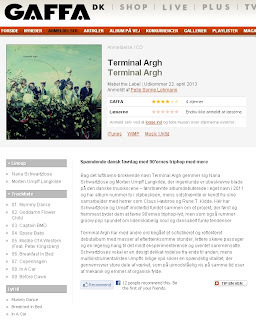 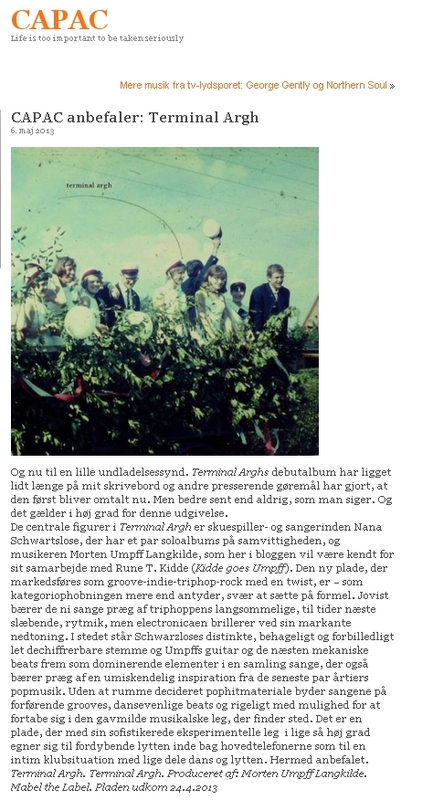 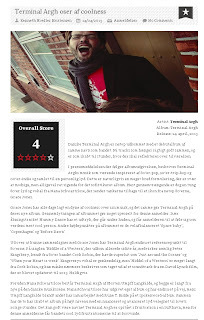 ), and it gets some very cool reviews at gaffa.dk, Bands of Tomorrow, Mr. Capac and Chartbase. 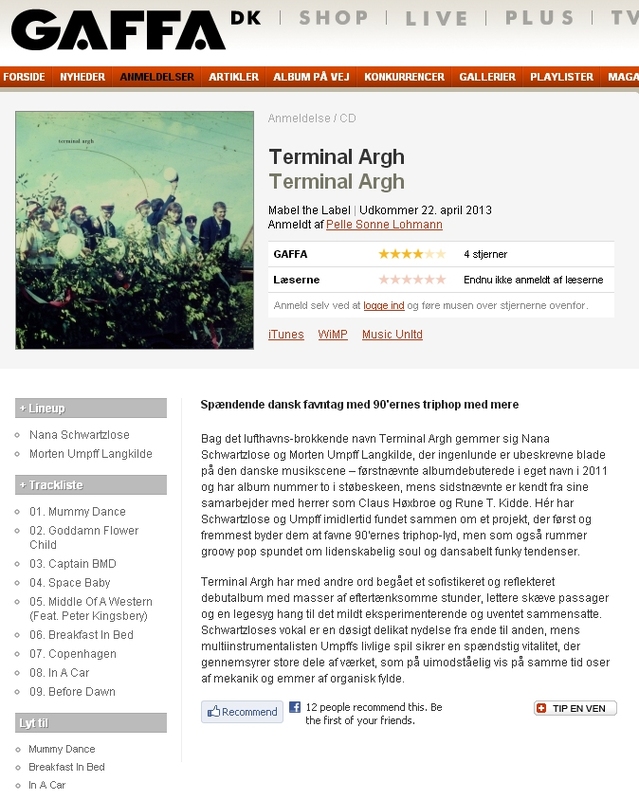 Terminal Argh on Facebook - album out April 24th.